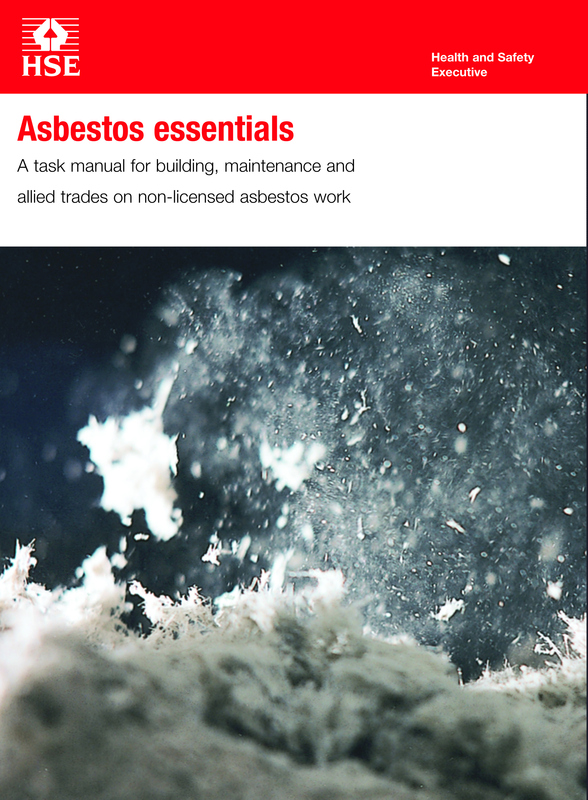 Asbestos essentials had to be designed to work well in print and online formats. The book had to be hard-wearing, and of a suitable size to be carried around by workers. 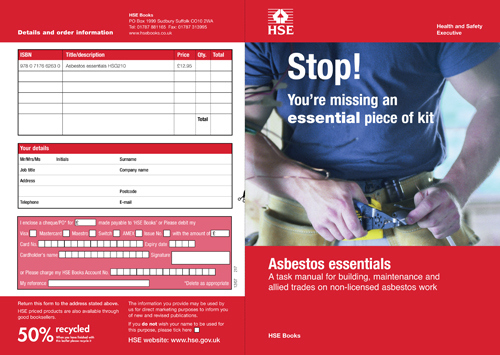 It was designed in A5 format, with a high gloss laminated cover, a fold-out diagram showing locations of asbestos, and was ring-bound so that it could easily be laid open while working. I designed and edited this project in collaboration with a range of industry experts to make the language technically accurate, while targeted at a less technical readership. Research showed that a high number of maintenance workers tend to take risks with their own wellbeing, but were more likely to respond to the threat to colleagues, friends and family. The book and marketing campaign were designed specifically to target the audience in this way. 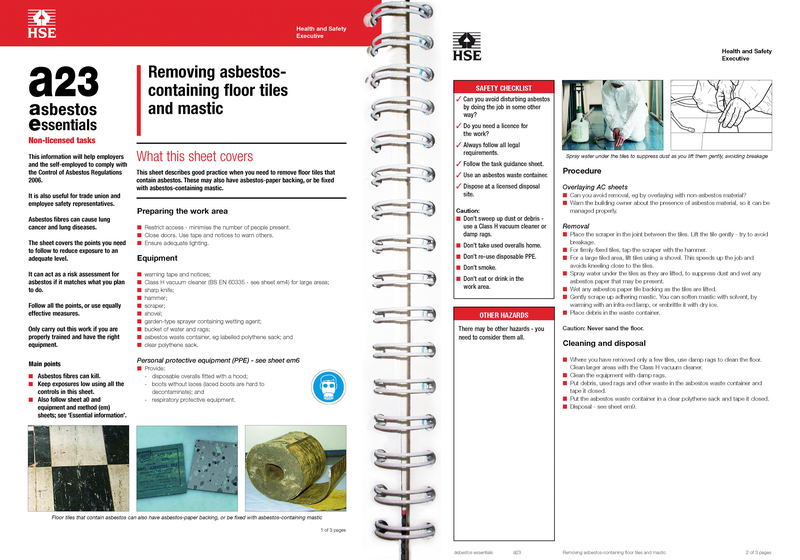 The book sold well, and feedback showed that it contributed to behaviour change. I am currently working on a new edition, updated to reflect new advice.